Anjuna Beach. Photo by / Flickr. 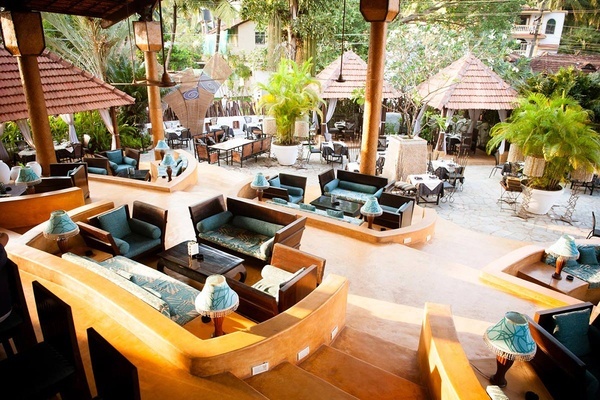 Goa is the kind of place where old-world influences and new-age mentality live side-by-side. Chef Floyd Cardoz, who just opened Paowalla restaurant in New York City in honor of his homeland, gives us a taste of the good life. GOA, India – I was born in Goa to Goan parents. I now live and work as a chef in New York City, but have maintained a close relationship with home my whole life. My new restaurant, , which translates to "a person who transports bread," was inspired by the breads I ate growing up. Goa was once a Portuguese colony, and her influences remain very Portuguese. Pao is Portuguese for bread. My favorite childhood memories begin with my family packing the car for the 450 kilometer drive south to visit my grandparents. (My mom's family lived in north Goa; my father's was from the south, which meant we had the best of both worlds.) My summer memories are of lazy days spent on the beaches, eating local seafood. 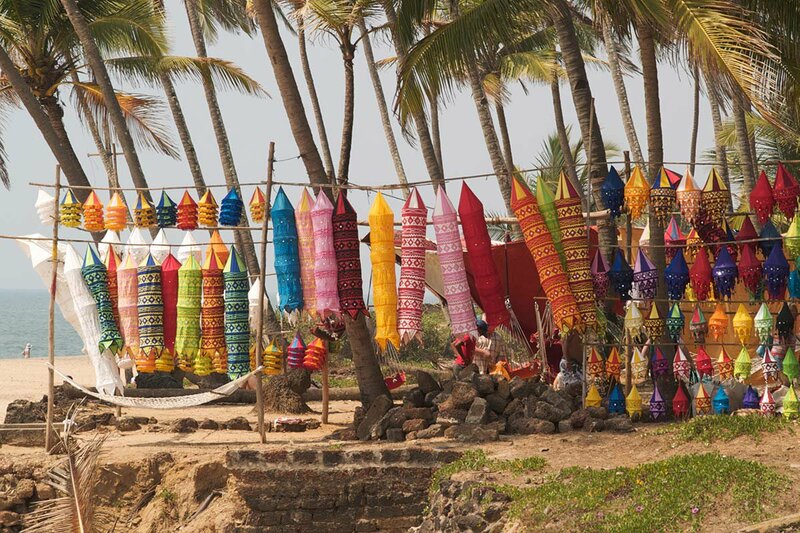 The people of Goa exemplify susegad, a term that evokes a life without care or time restrictions. It's an inspired way to live, and one I try to connect with when I return. I prefer the beaches of northern Goa — Calangute, Vagatore, and Anjuna — as that is where I spent most of my years. In addition to just relaxing on the beaches, I like to eat the local prawns, calamari, and other seafood that the vendors offer. on Calangute is my favorite place to watch the sun set. The remains of Saint Francis Xavier are interred in this beautiful church with high ceilings and a gold-plated altar. 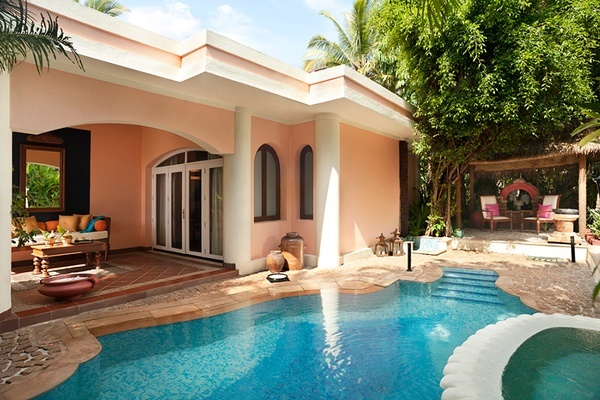 This incredible hotel really feels like Goa, with great rooms surrounded by mango and coconut trees. They always have fresh nariyal pani (coconut water). Motorbikes are easy to find and a great way to ride around the small villages of northern Goa. A childhood memory that still excites me: vendors selling spices, fruit, meat, dry fish, and Goan sausages (choriz). I eat a choriz pao whenever I can. A room at Taj Exotica. The dining room at A Reverie. Photo courtesy of A Reverie. 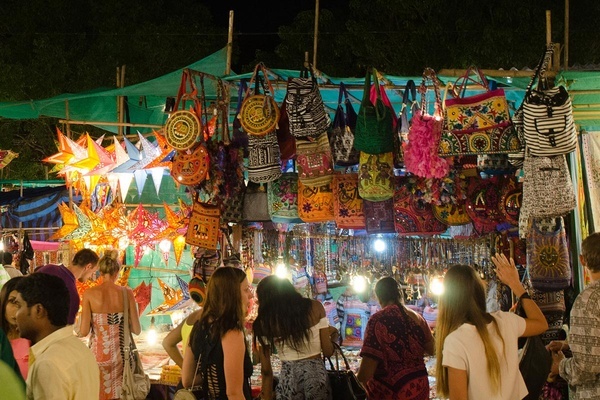 Saturday Night Market in Arpora. Photo by / Flickr. Stop a paowalla or a poder (Goan baker) on his bike and buy the local bread, poi. Get it hot and enjoy with butter and homemade mangad (a type of mango jam), or at lunch time with xacutti (a local curry) or sarapatel (a thick, meaty stew of Portuguese origin). Ponda Belgaum Hwy., Curti, Ponda; +91-832-231-2394Take a day trip to this farm and learn how spices are grown. The first time I visited, I was fascinated by the aroma of spices. Go for lunch, which is a Goan spread. One of my favorite new Goan restaurants. A beautiful setting with amazing drinks and food. The new Goan food that she cooks will surprise you. A great place for traditional Goan cuisine. Memories of fish thali (a balanced six-course meal served on a single plate) still haunt me. Go for lunch and get fish thali, prawns, rawas (Indian salmon), and mussels. When I was young, my friends and I would go herr for the chicken cafreal. It's become crowded over the years, but remains a must-stop for many folks. One of my favorite places for shopping, food, and music. Floyd is the chef and owner of in New York City. You can find him on . He travels for the thrill of discovery.